Heights Atlas Orthogonal Chiropractic Clinic is proud to offer products from NutraMetrix Advanced Nutraceuticals which carries a number of comprehensive wellness programs including DNA analysis, Customized Nutrition, and the Transitions Lifestyle System. Their wellness programs allow us to effectively meet the needs of our patients and their families at every stage of life. Your health and lifestyle considerations can now be addressed by examining your unique, genetic makeup. 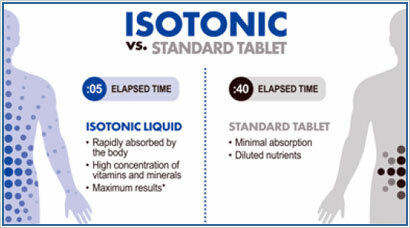 No longer will you have to accept a “one-size-fits-all” vitamin and nutrition regimen. Modern genetic research has made available to you a customized nutritional program and lifestyle recommendations. Your journey of self-discovery begins with an easy to administer, non-invasive test. You provide a DNA sample using a simple swab of your cheek. This test takes less than a minute, and can be conducted in your health professional’s office. You simply send your cheek swab in the provided tube along with a completed lifestyle questionnaire. substances to lose some nutritive value and this whole process takes time! The Nutri-Physical is an analytical tool that recommends a customized nutritional supplementation program based on your answers to a series of lifestyle and behavioral questions. These questions center around current, major health-related conditions and various lifestyle factors including diet, exercise, medical history, current supplementation, and related contributing factors. If you are new to supplementation, it is an excellent resource for identifying areas of need in your current lifestyle that would benefit from nutritional supplementation. If you are already taking nutritional supplements, this tool can serve to reinforce the use of those products or make recommended adjustments. A new lifestyle - a new you! Transitions is a comprehensive lifestyle system designed to help you achieve your weight loss goals and be healthy! This plan doesn't focus just on food like many other systems. The Transitions Lifestyle System™ provides a total-system approach that promotes healthy food choices, behavior modification and menu plans. **These statements have not been evaluated by the Food and Drug Administration. These products are not designed to diagnose, treat, cure or prevent any disease.